E= mc2. One famous equation. Five symbols. Countless implications. 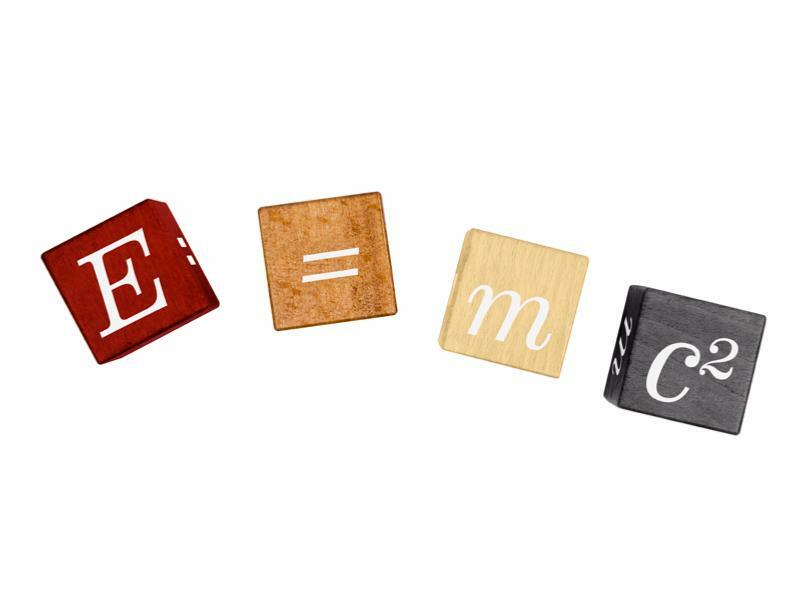 Einstein’s equation for mass-energy equivalence altered the way we think about energy and mass, and has provided endless technological advances. Arrange the cubes so that each of the four sides show all of the five symbols that make up Einstein’s ground-breaking equation. Expensive for what it was. It would be better if it was made from metal. This pairs really well with a riddle about the letter E.
It should be escribe that we don't get an E, but the shadow of an E or a goast E. Elusive is not enough for my tast. 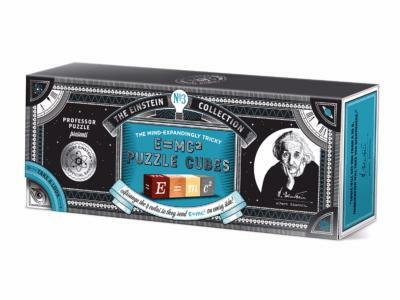 I use these puzzles not for me, but for friends in parties. I ordered this alongside another product. This one is so small and well-wrapped, it appeared almost indistinguishable from the protective packaging for the other products, and is easily thrown away - beware!